Astigmatism is a type of refractive error caused by the irregularities in the shape of a person’s cornea. In this condition, the eye fails to focus the light equally on the retina leading to blurred or distorted vision. It can be present at the time of birth, or can develop gradually in life. 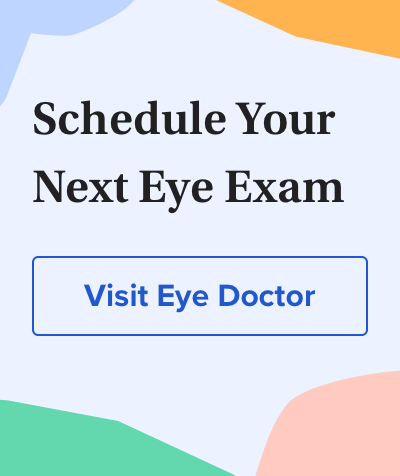 Astigmatism is a common eye condition which usually occurs with myopia (nearsightedness) or hyperopia (nearsightedness) and can be easily diagnosed with a simple eye exam. Astigmatism is a refractive error and is not an eye disease or eye health issue. Astigmatism is simply a problem with how the eye focuses light. Astigmatism usually causes vision to be blurred or distorted to some degree at all distances. Some of its symptoms are eye strain, headaches, squinting and eye irritation. Astigmatism is usually caused by an irregularly shaped cornea. Instead of the cornea having a symmetrically round shape (like a ball), it is shaped more like an egg, with one meridian being significantly more curved than the meridian perpendicular to it. In some cases, astigmatism is caused by the distortion of shape of the lens inside the eye. This is called lenticular astigmatism, to differentiate it from the more common corneal astigmatism. It's important to schedule an eye exam for your child to avoid vision problems in school from uncorrected astigmatism. Mixed astigmatism. One prinicipal meridian is nearsighted, and the other is farsighted. Astigmatism is also classified as regular or irregular. In regular astigmatism, the principal meridians are 90 degrees apart (perpendicular to each other). In irregular astigmatism, the principal meridians are not perpendicular. Most astigmatism is regular corneal astigmatism, which gives the front surface of the eye an oval shape. Your eye doctor can estimate the amount of astigmatism you have by shining a light into your eye while manually introducing a series of lenses between the light and your eye. This test is called retinoscopy. Astigmatism can usually be corrected with spectacles or contact lenses. Refractive surgery is one of the less common astigmatism correction options, however, since it is a laser procedure that changes the shape of your eyes, it comes with risks associated with most surgeries. Astigmatism should be treated as soon as possible. Once diagnosed, regular visits to an eye doctor are required as astigmatism can fluctuate over time, making it necessary for prescriptions to be modified.